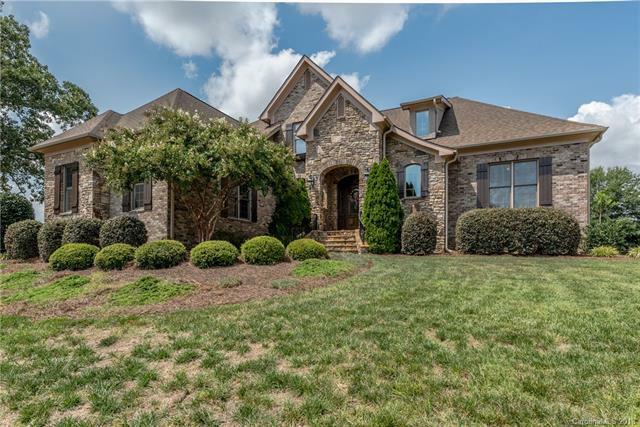 Impressive custom built home set on a half acre beautifully landscaped site---Close to Ballantyne, Waverly, Stonecrest, and Blakeney! Amazing Open Floor Plan with Custom Features throughout: coffered ceiling; Incredible millwork; iron balustrades and gleaming hardwood floors throughout the whole house. 10' ceiling on the main floor and 9' for the upper floor. Home is Perfectly Designed for Comfortable Luxury Living. A lot of natural light with Walls of windows and skylights. Beautiful kitchen with granite counters, incredible cabinetry, island, stainless appliance. Main floor Master with Generous Master Bath including separate jacuzzi tub and shower; separate double vanities. Beautifully landscaped backyard enclosed with evergreens. New Roof 2012. New water heater 2018. Irrigation system. Security system. Recently furnished exterior window shutters, front door and metal works. All appliances convey. Just replaced refrigerator compressor. Incredible Marvin Ridge Schools.